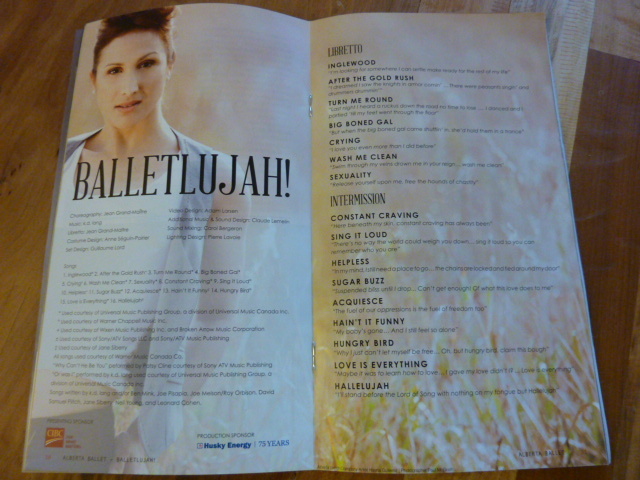 It’s been over a week and I am only now sitting down to write about Balletlujah! 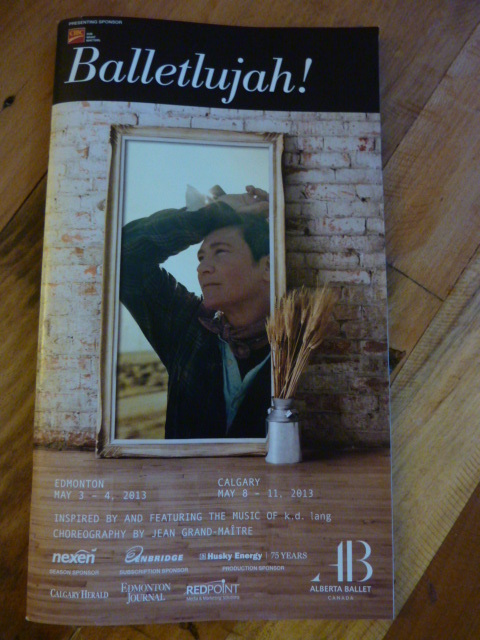 It was a brilliant collaboration between Artistic Director of the Alberta Ballet, Jean Grand-Maitre and k. d. lang. My friend told me that she began to cry during the second half…I cried from the time I saw the magical prairie landscape open up during the first number, Inglewood. Suddenly, I was flooded with memories of times shared with my grandfather, miles traveled on Alberta roads and my years of painting the landscape I’ve treasured so much the past thirty years. I can not possibly capture for my readers, the gist of the performance. The dancers were exquisite. The costumes were perfect. 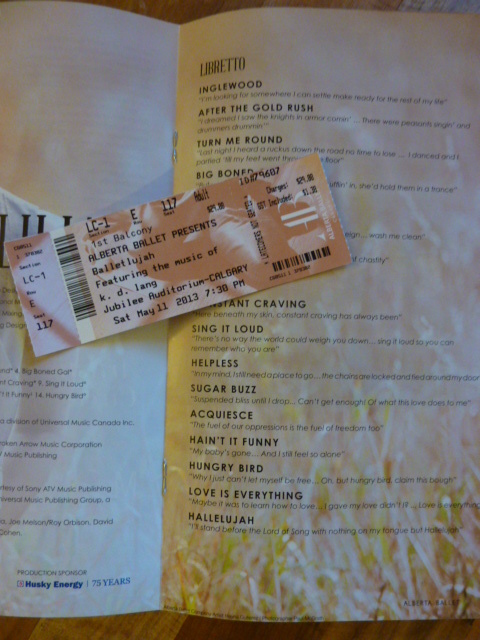 The lights and video effects were spectacular and the music created for me, a narrative that moved me beyond belief. The images of buffalo, crows, fish and star studded nights were dreamy. The contrast of prairie and city experiences was so well-developed through the music and the ballet. I definitely felt that the piece was encompassing themes of place, home and identity…of what it feels like to love completely and without holding back. A spectacular night! The second last tune resonates with me personally and so I am going to link to it here. If given the opportunity to see this ballet in the future, please do. This entry was posted in Creativity, Dance, Gratitude, Magic, Music, Reflection and tagged Adam Larsen, Anne Seguin-Poirier, ballet, Balletlujah Alberta Ballet, Dance, emotion, Guillaume Lord, identity, Inspiration, Jean Grand-Maitre, k.d.lang, Love, Pierre Lavoie, Place by Painter Lady. Bookmark the permalink. I want to echo your encouragement to go see it!